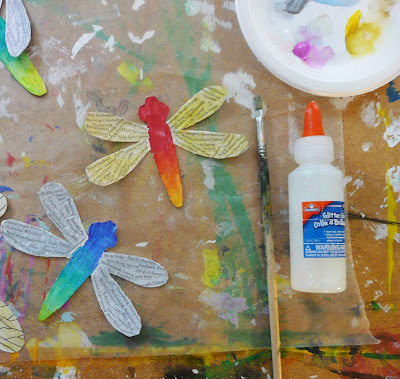 I have been working on dragonflies the past couple of days. There were so many at the cabin this year, types I had never seen before. So that was the inspiration for this project. I was also thinking that teachers always need magnets especially if you work with white boards. 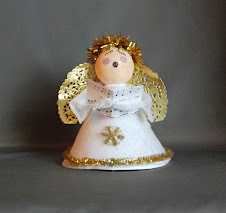 If you have the kids make one for themselves and one for you you'll have lots! To start you can either use my TEMPLATE or make your own. This is me working on the large dragonfly, planning out the shape and using reference material. Take your design or my template and cut out. Place on top of the thin cardboard and trace around. 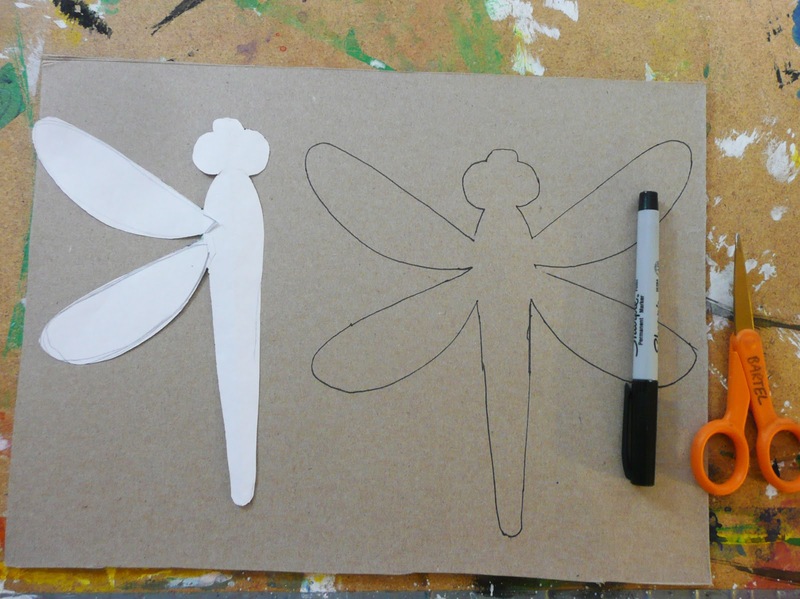 To make the wings symmetrical on my design I cut out only 1 side and then flipped it over to trace the other side. 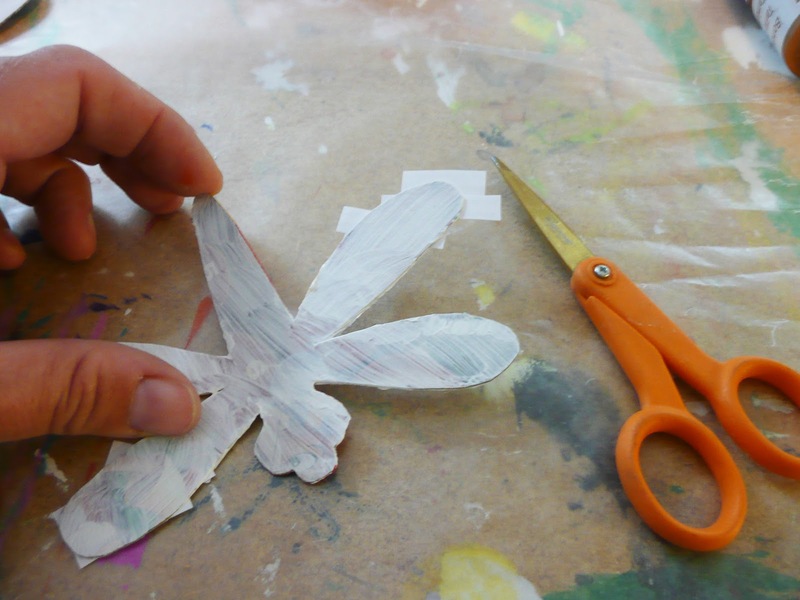 Cut out the cardboard design. 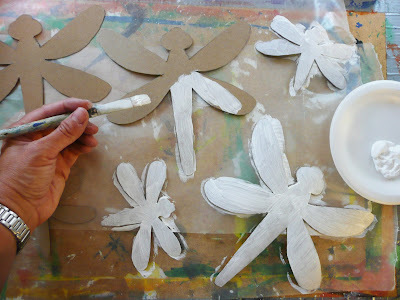 Prime your dragonflies with gesso or white paint. Let dry and if like me, you used a cereal box you can also prime the back if you wish. 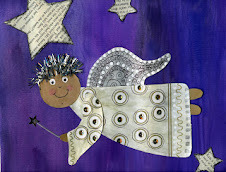 I have kept my wings white but we will be pasting on top of them so if you get some excess paint on them no worries. I love the look of text/book pages in a design. 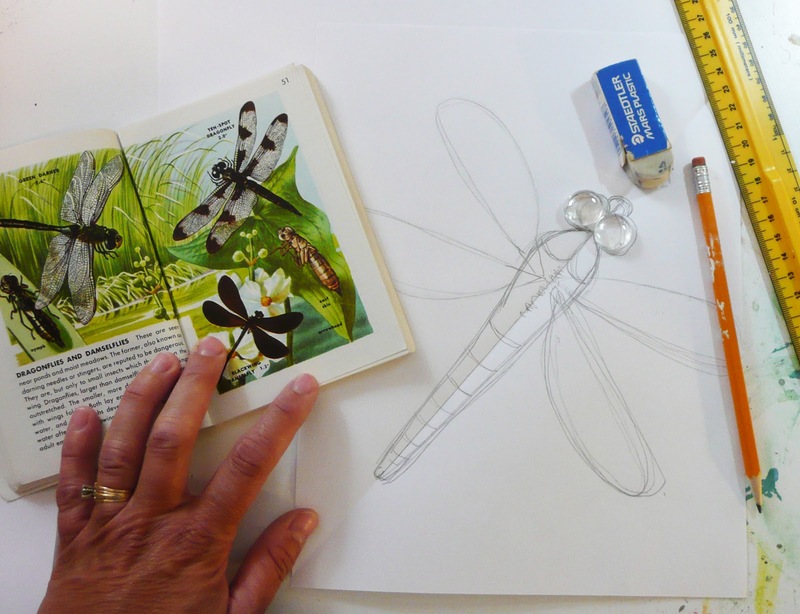 When I was looking for information on Dragonflies I stumbled across a checklist for Alberta that had all the names. Once I read thru them I knew I had to use it, names like Sedge Sprite, Rainbow Bluet, River Jewelwing, Powdered Dancer and Zigzag Darner. 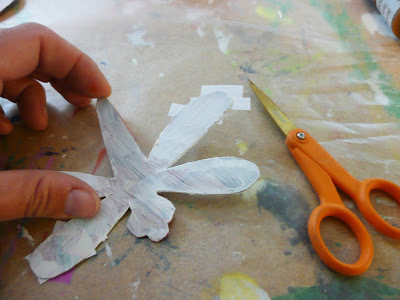 Cut the text into strips or squares and glue onto the wings. You can go right over the edges as you can trim these after. 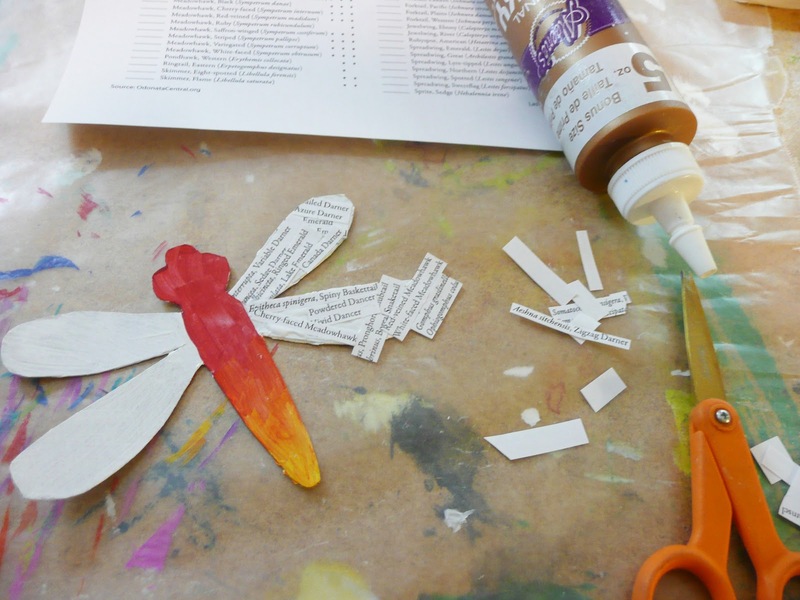 Use a touch of diluted paint to add a bit of color to the wings. I then went over them with some iridescent glitter glue to give them that sparkle like real Dragonflies. 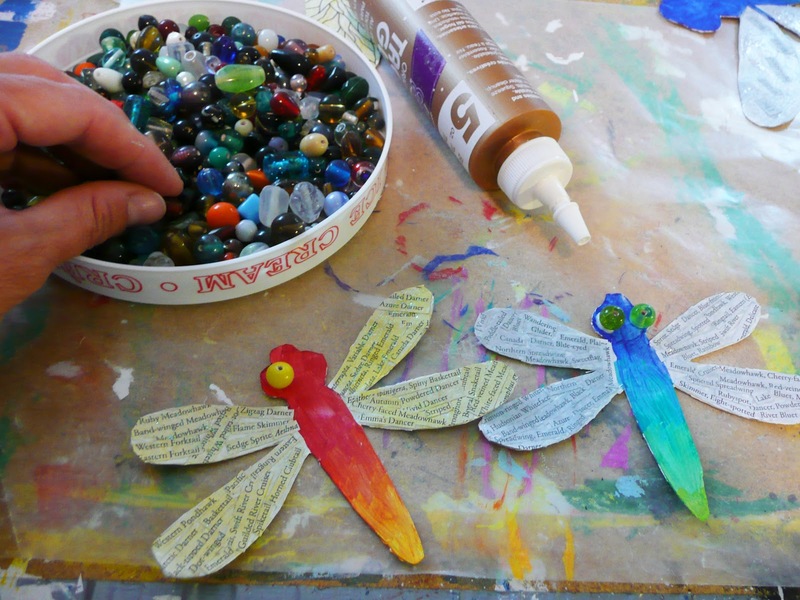 Using beads glue on 2 eyes. 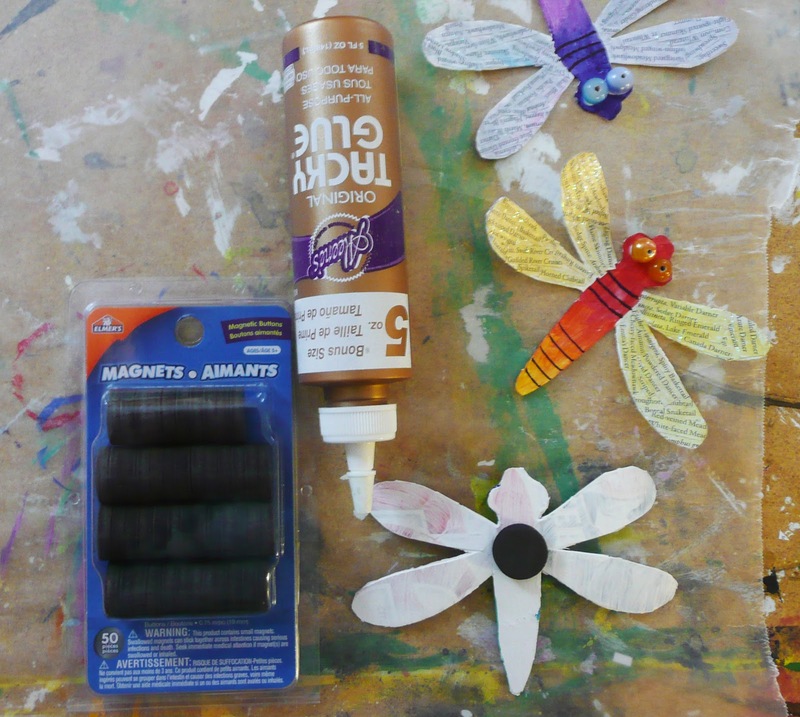 Glue a magnet to the back with tacky glue or a glue gun. 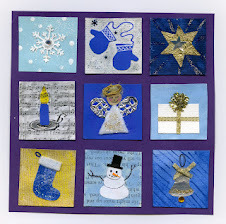 Add a coat of Mod podge to seal everything and to add a nice shiny coat. 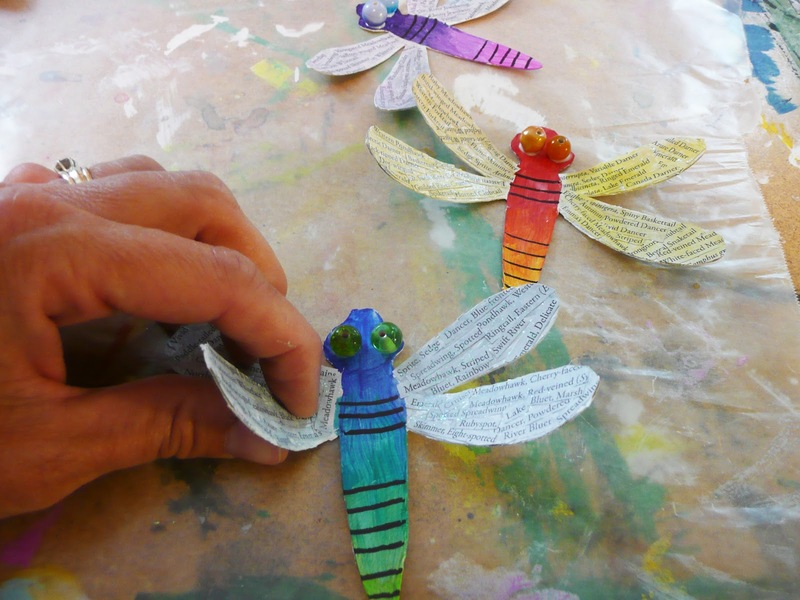 You can curl the wings a bit if you wish. Have a great Labor Day weekend everyone and I'll see you next week with Dragonflies part 2. These are beautiful! Do you think that first graders could do it?? About how long did it take incuding drying time? Thank you so much for this post. 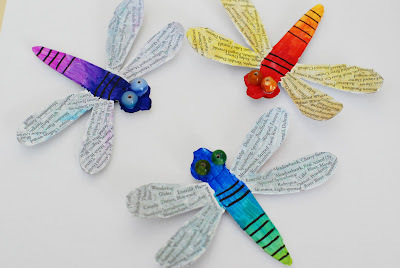 I want to let you know that I posted a link to your blog in Creative Busy Bee Craft Inspirations, under the Page 1 post on Aug. 31, 2012. Thanks again. You have the best ideas! 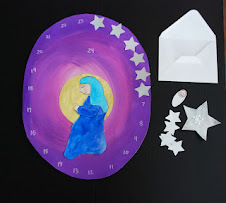 I am a homeschooling mom and my daughter and I have tried several of your art projects. We love them! 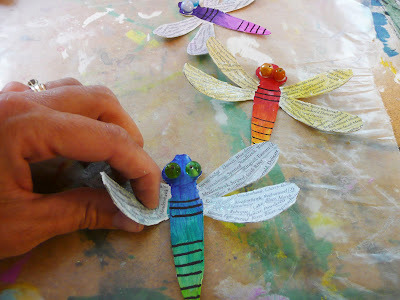 These are just what my littlies could make as there 'insect study' is coming to a close. Thank you, the instructions are great. 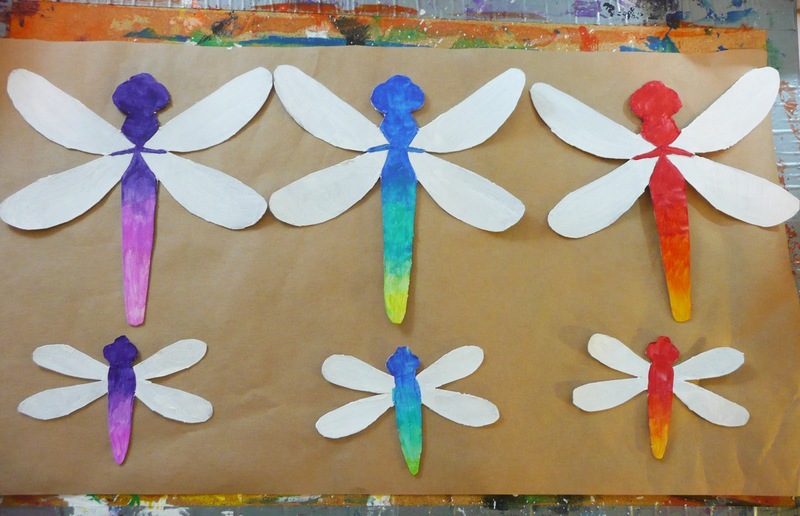 It looks like you used acrylic paint for the bodies or is it water colour paint? 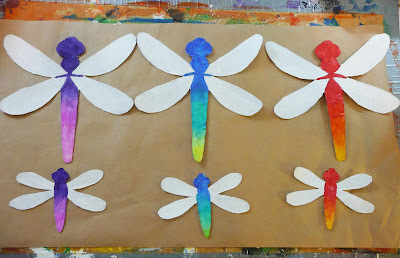 This is a project I will have the kiddos do this week for a bulletin board in our Sunday School Hallway. These are so adorable! It's actually disk tempera. You can use whatever you have on hand. 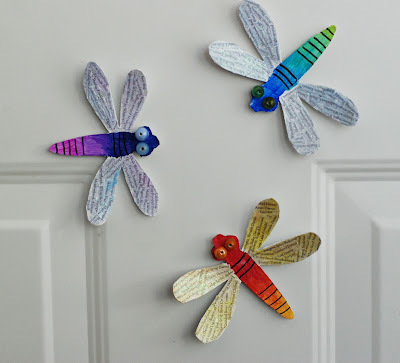 If you plan to seal them with Mod Podge or something similar use acrylic so they won't smear.